Establishing a joint bank account that allows your children to tap into your finances might initially seem like a good idea. In fact, you may have recently gone through some challenges with your own loved ones in which the fact that one child was not named on the bank accounts made it much more difficult for these adult children to help if the parent suddenly became incapacitated and unable to make decisions on their own. This seems like a good idea to prepare for an emergency in the event that you as the aging parent needs assistance with your finances as you get older. But without proper planning and assistance from an attorney, this can cause some serious estate and tax problems. Other strategies might be more appropriate to enable your adult child step in and make decisions on your behalf such as using a financial power of attorney. 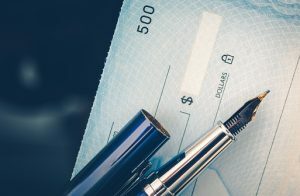 Many parents who decide to add a child to their bank account do so to give children access to their money during an emergency, but simply establishing the child as the owner on a joint bank account or on a safe deposit box or investment account can have unintended consequences and may not be the right approach during a family crisis situation. Many bank accounts set up their joint accounts as joint with rights of survivorship. This means that if your intent was for the assets to be saved during a family crisis and then to be distributed via the terms of the will, this might not happen. This is because the assets automatically transfer to the surviving owner regardless of what is said in your will. Furthermore, be aware of the fact that you could be facing a federal gift tax issue by naming your child as the co-owner. This depends on the size of the account. Any U.S. citizen is eligible to receive up to $15,000 per year tax free to anyone that they choose but if the gift is greater than $15,000 and that beneficiary is not a spouse, this could require the need to file a gift tax return. You might wish instead to use transfers on death, which means adding one or more beneficiaries to your account and getting many of the benefits of this type of account over a JWROS account. To make sure you get your questions answered, schedule a consultation with an experienced estate planning lawyer.